The second International Society for Computational Biology Latin American regional meeting (ISCB-Latin America) took place in March 17th-21st 2012 in Santiago, Chile. More than 250 people attended, primarily from countries in Latin America. As a scientific conference with an international audience, all oral and poster presentations, as well as all printed materials, were in English. 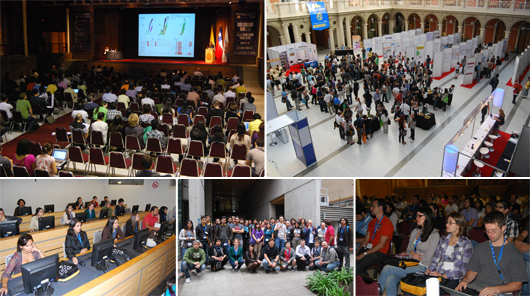 The major aim of ISCB-Latin America 2012 was to deeply motivate and inspire young Latin American students and post-docs to conduct the best research possible in the areas of Bioinformatics and Computational Biology. The first two days of the meeting (March 17-18) were dedicated to hands-on practical tutorials and workshops covering different topics of interest. Each session had two keynote speakers and six oral presentations. There were also two poster sessions.